How can I remove High Contrast mode? 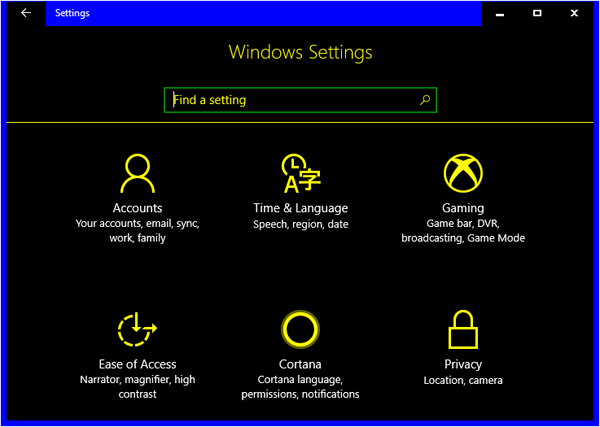 Windows comes with several themes that provide high contrast and make it easier to read screens in bad lighting. This feature is really useful for users with visual impairment. 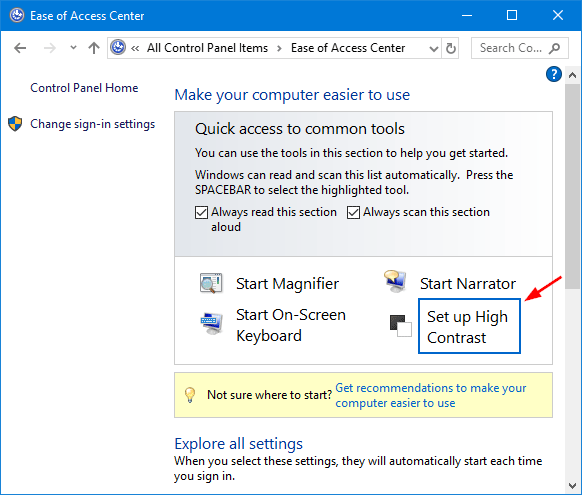 Here are different ways to turn on / off High Contrast in Windows 10 / 8 / 7. 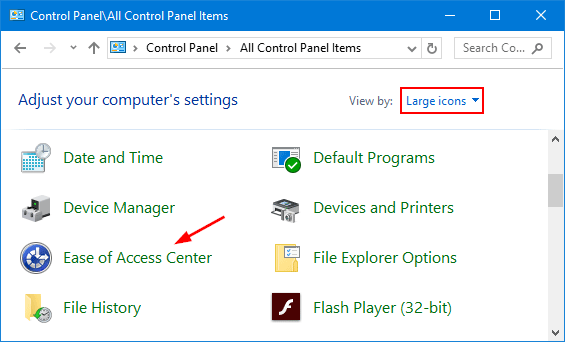 Open the Control Panel in Large icons view, and then click Ease of Access Center. Click the Set up High Contrast icon. 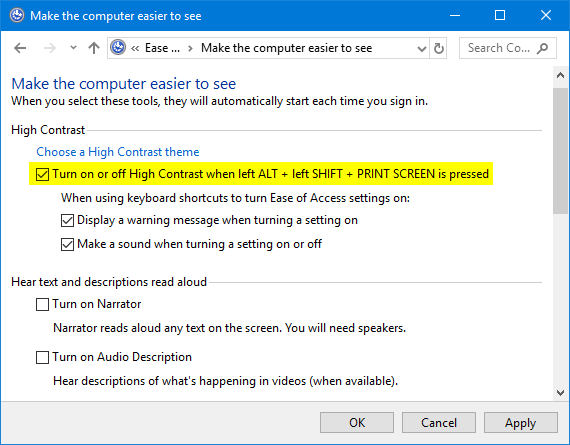 select the “Turn on or off High Contrast when left ALT + left SHIFT + PRINT SCREEN is pressed” check box. Click Apply. 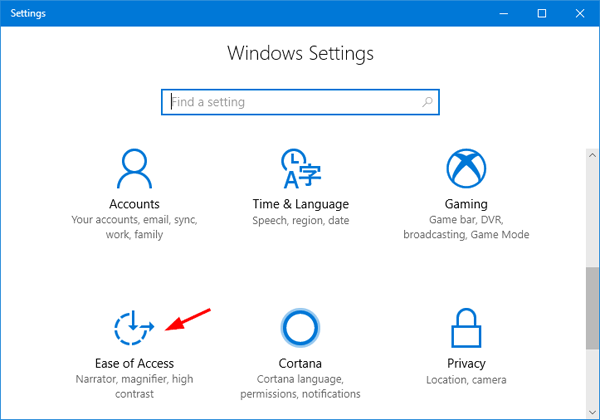 Press the Windows key + I to open the Settings app, click Ease of Access icon. Select the Color & high contrast tab. 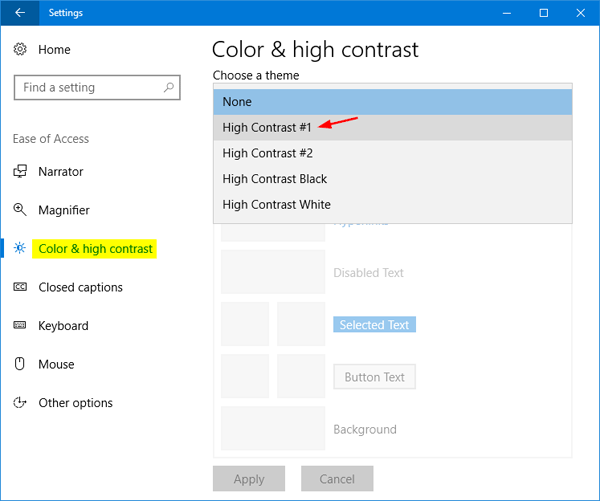 Under Choose a theme, choose a high contrast theme from the drop-down menu, or select None to disable high contrast. 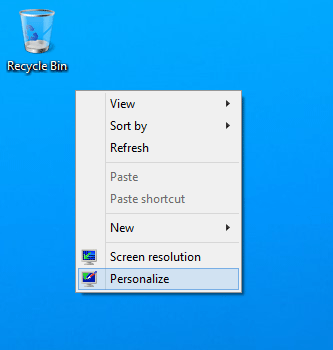 Right click on an empty part of the desktop to bring up a menu and then select Personalize. Scroll down to the “Basic and High Contrast Themes” section and choose the theme of your choice. 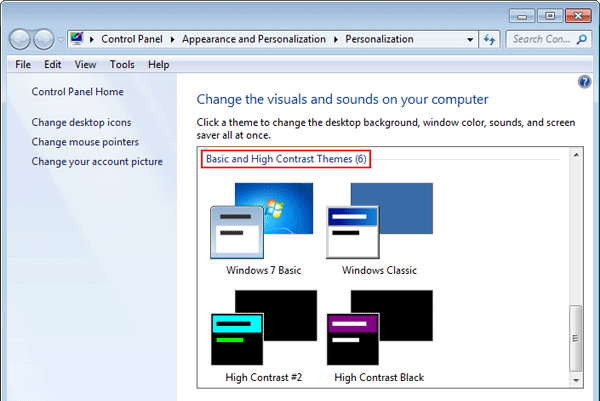 If you want to turn off high contrast, choose the theme under either “Aero themes” or “Basic themes”.